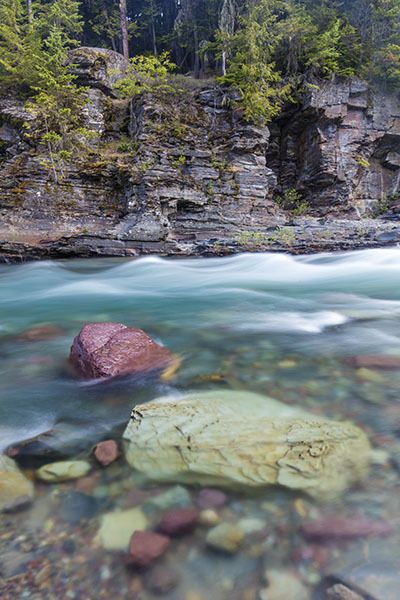 While Glacier National Park has one of the largest intact ecosystems in the temperate zone, it's surprisingly easy to explore by road, trail or steam. The Going-to-the-Sun Road—an engineering marvel and National Historic Landmark—takes visitors through the heart of the park over Logan Pass and is one of the most scenic drives you'll ever take. And while summer is the busiest season in the park, Glacier National Park is open year-round. Autumn offers a peaceful—and colorful—visit to the park, while winter provides a prime setting for snowshoeing, ice climbing, cross-country skiing and sightseeing. Photo © copyright by Scott Papek.